Match-heads!! 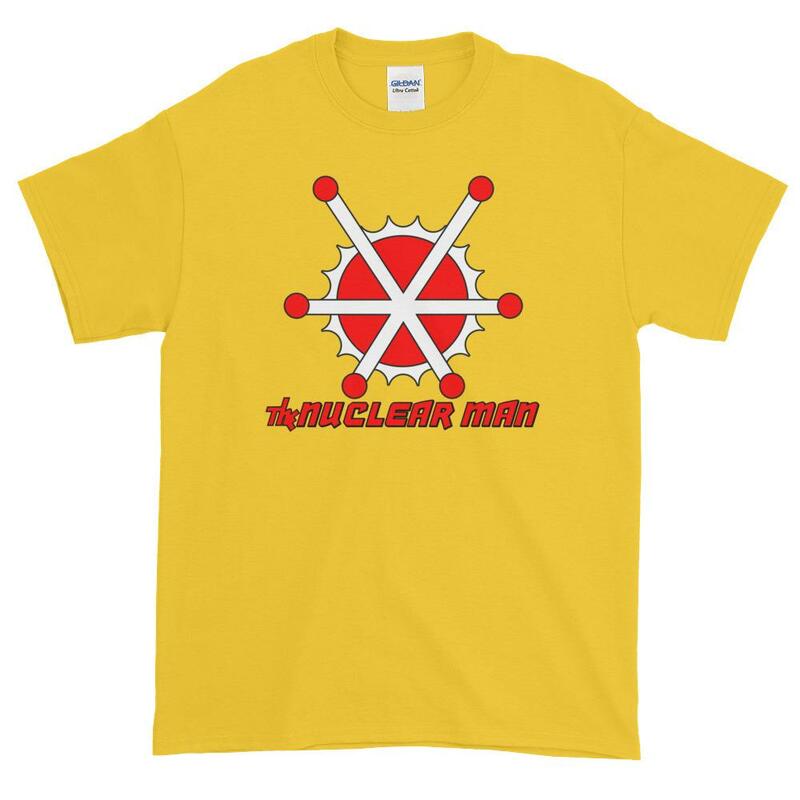 Get your own Nuclear Man t-shirt from Retropolis Tees!! Shirt by fellow match-head Anthony Durso!! Order yours today from Retropolis! I dig it from an artistic perspective. It’s very sharp and has a great symmetrical design, but isn’t a 100% accurate depiction of the classic costume’s logo. There should really only be three of those little red circles. I think the original design was like a nucleus with three rings and the three little red balls circled around the three rings. I still dig it though.